In The Man Problem, Ross Honeywill posits that the potential for evil in all men is the social, political, and economic problem of our age. Drawing on the work of social critics and theorists including Zygmunt Bauman, Karl Marx, Hannah Arendt, Simone de Beauvoir, Jean Baudrillard, Slavoj Zizek, and others, the book traces destructive masculinity through cultural texts, social systems, and everyday life practices. Using the lens of social theory, social philosophy, feminist cultural studies, and sociology, The Man Problem explores the legacy of the Enlightenment as a context for a social world constructed by men (in modernity), deconstructed (in postmodernity) and reconstructed (in the liquid present). This book investigates the outlines of the patriarchy and why the men who legitimate it behave the way they do. Despite the troubled and troubling legacy of masculinity, Honeywill reveals an alternative path forward. To call The Man Problem a book that challenges our normal understanding of the history of masculinity would be an understatement. Rather, The Man Problem is explosive and devastating in its analysis. It will no doubt have the effect of shocking many readers with its radical observations about the role of men in undermining Western society, the causal chain of which lies at least as far back as the Enlightenment. 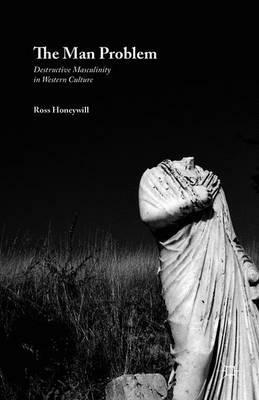 Ross Honeywill argues convincingly, and with frequent reference to historical and social events, that we live in a ‘liquid present.’ This liquid present is a kind of dystopian environment, where the masculine ethos has utterly destroyed modernity – a lofty, hopefully, but ultimately flawed patriarchal enterprise – such that we are now left in a crumbling, savage aftermath where women struggle against an unequal society and men are slaves to their own bestial and violent passions. Honeywill maintains that men must wrestle internally with these violent impulses and that they may be suppressed only with great toil and self-consciousness. Yet despite this terrible and seemingly irredeemable situation Honeywill allows for the possibility of a hopeful future. For those interested in philosophy, gender studies, feminism and cultural theory, The Man Problem is a new and indispensable study. Dr James Stewart is a researcher, academic and author.